Additional Info: Fully insulated. En-suite wc main bedroom, shower and wc in main part of caravan. Heated towel rail in shower room. 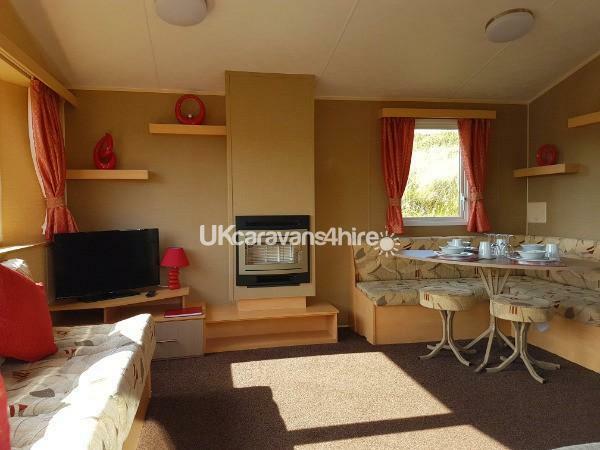 2012 Willerby Salsa Eco Deluxe 2 bedroom 35ft x 12ft 6 berth caravan situated on the popular Perran Sands Holiday Park. 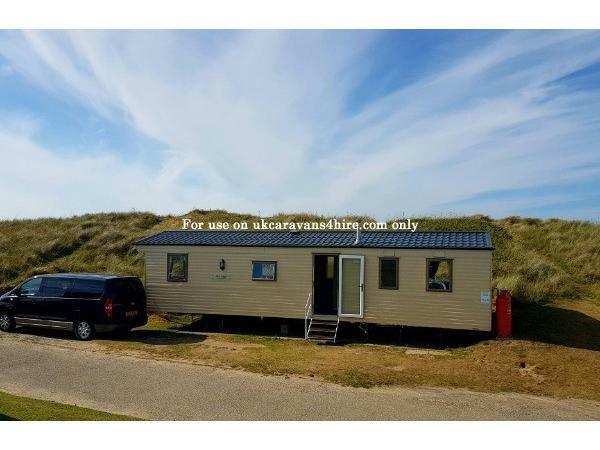 Our privately owned caravan is situated in a quiet location within Pentreath View which is close enough to both the beach access and the site amenities. The generous lounge and dining area is arranged carefully to be spacious, comfortable and relaxing, this includes L shaped seating, with a pull out metal action double sofa bed. There is a flat screen TV DVD combo with free-view channels, plenty of cupboards and storage space, also a gas fire should you need it. In the dining area there is a fan shaped table with plenty of seating for up to 6 people. The gallery style kitchen has all the modern amenities and is both practical and effective with modern wood grain units with plenty of storage. 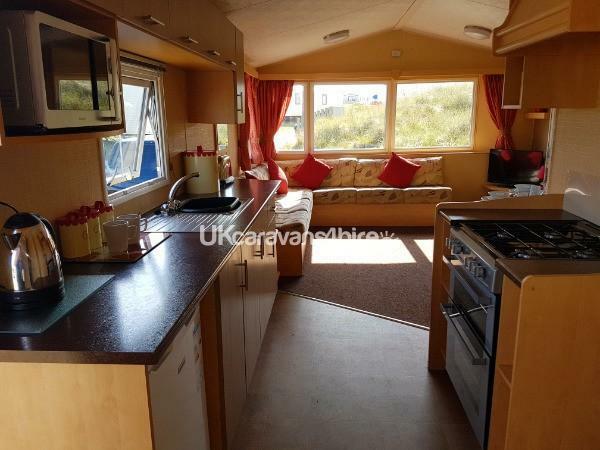 There is a 4 burner gas cooker with separate grill, microwave, kettle, toaster, fridge (with small freezer compartment ) pots & pans, crockery, glasses, cutlery and utensils. Spacious bathroom consists of a shower cubicle with sliding glass door, porcelain white sink & toilet, heated towel rail, cabinet and storage space. 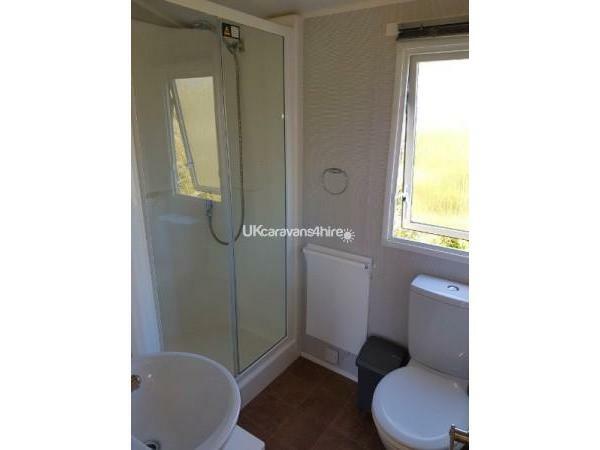 Also an en-suite wc and sink in the main bedroom. Bedrooms consist of one double and one twin bedroom. 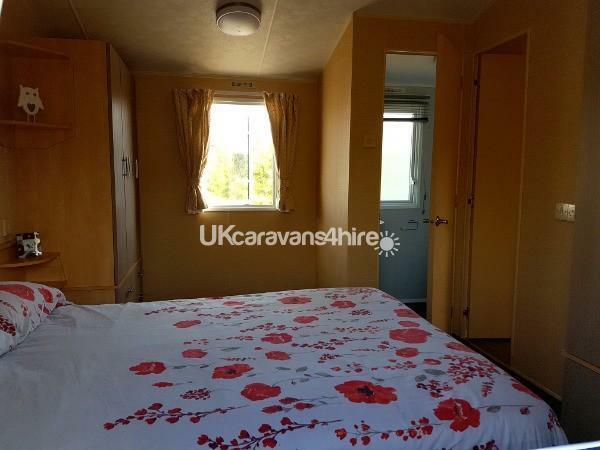 The main bedroom has a double bed plus 2 wardrobes for storage with coat hangers and hot air heating. 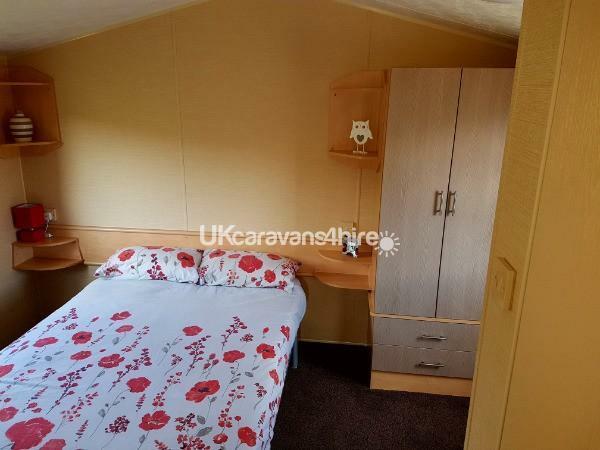 Bedrooms 2 is a twin bedroom, again with hot air heating, it has two single beds, a spacious wardrobe and shelving. Duvets and pillows are provided but you will need to bring your own bed linen, towels and tea towels. Alternatively bed linen can be hired on site. Within the heating cupboard you will find coat storage, a clothes airierwith pegs , mop, bucket, vacuum cleaner, dustpan and brush and broom. Additional Info: Perran Sands Holiday Park is located above the Cornish holiday resort of Perranporth, with its assortment of shops including banks, gift shops, surf shops, co-op and there are plenty of places to eat, be it Indian or Chinese takeaways or fish & chips. There’s a great Wetherspoons called The Green Parrot.Perranporth has an outstanding 3 mile sandy beach with breathtaking views, you can stroll along the beach at low tide and stop for a drink or a meal at The Watering Hole on the beach then amble back to the park over the sand dunes.Perran sands itself is a Haven site therefore offers a great variety of facilities and activities for all ages, whether it’s the kids club or just enjoying the secluded relaxed atmosphere of the park or a walk over the sand dunes, there is something for everyone. There is a path down to a private beach from the park.The area is known for its amazing surfing conditions and the park has a surf school which offers surfing lessons and equipment hire. Alternatively there are:Heated indoor pool with flume, Heated outdoor pool with terrace, Soft play area, Sports courts, Climbing wall, Adventure golf.For golf lovers there’s Perranporth Golf Club just down the road. There are plenty of places to eat on site should you wish :-Also, the Surfbay restaurant and Bar, the staff are very friendly and there is even a VW camper van where you can eat inside. There is also Cooks fish & chips shop, all orders are cooked while you wait. Also there's the Funky fish restaurant. There is Papa Johns for all pizza lovers and they even deliver to the door !For all your holiday necessities there is a fully equipped convenience store and gift shop, which also sells freshly baked bread. The site has a large amusement arcade and beyond that there is The Live Lounge for a full day/evenings entertainment. Also from this year there is a bus direct from the site to Truro, Newquay and surrounding areas (check timetables with Haven site office for more information )The FunWorks passes for the parks activities and entertainment can be purchased from reception at the park. 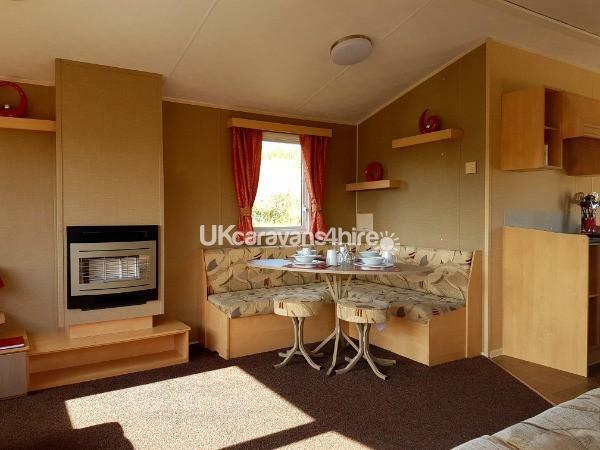 This was our second stay in this fabulous caravan which has everything required. Bedroom spacious with the added touch of a second toilet and wash basin . Upon arrival caravan cleaned to a great spec. Communication with the owners is first class. 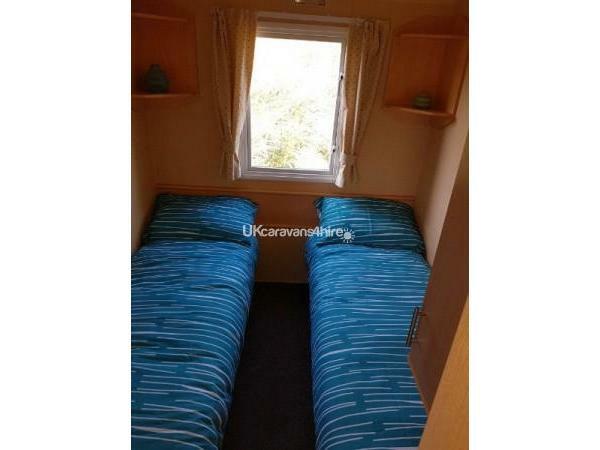 Anybody staying in this caravan will certainly return. No negatives whatsoever. Thank you Dave and Tracie for our wonderful stay. 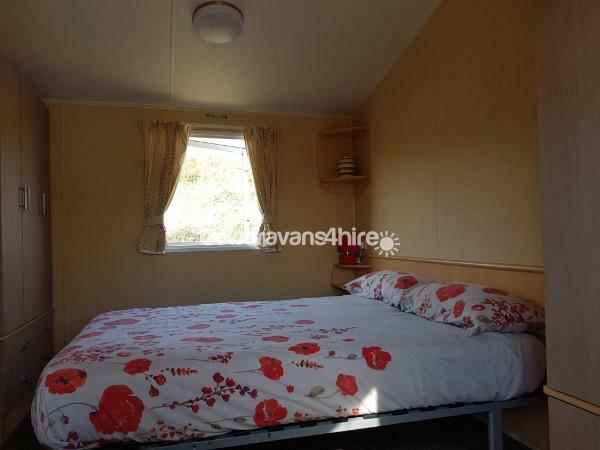 Fantastic caravan in a great location, close to the complex and the beach path, yet in a quiet part of the park . 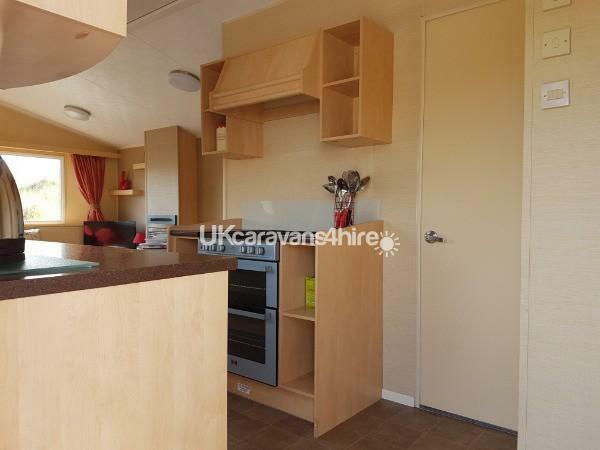 Caravan itself was very clean and well equipped, with the added touches that decorated to an excellent standard. The owners was always at hand for any communication, and very friendly in making our stay welcome. No negatives at all and would mark more than 10 out of 10 if I could. Excellent value for money. 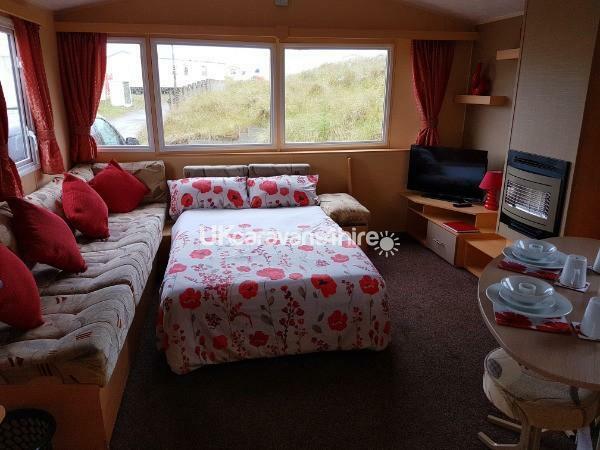 Fabulous holiday home in a beautiful location. 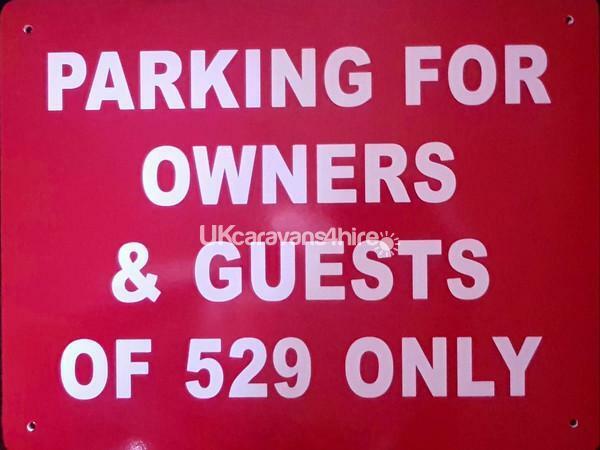 Very friendly owners with great communication about booking. Decorated to feel very welcoming and homely. Quiet location in park and close to all amenities. Backing onto dunes. Close to beach path.